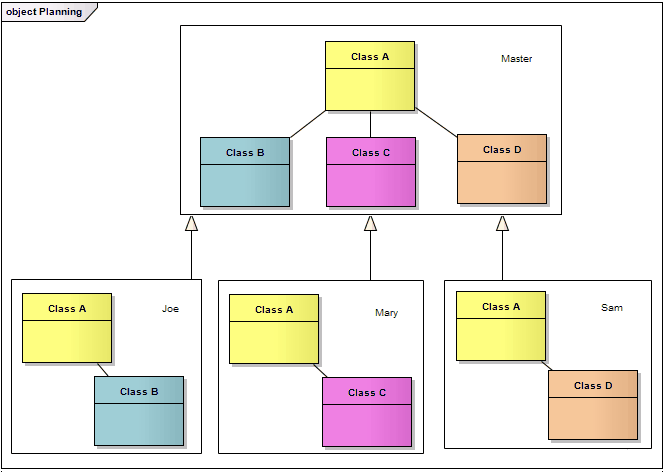 A Diagram Frame element is a rendition of a diagram dropped from the Project Browser into another diagram. It is a type of Combined Fragment with an 'Interaction Operator' ref. However, it can be created on any type of diagram, and is not created in the same way as other Combined Fragments. In both cases, the object acts as a hyperlink to the real referenced diagram. You can also define properties for the objects, as for other elements, by right-clicking on the object and selecting the element 'Properties' option.